The National Community Investment Fund (NCIF) received a total of $326 million of NMTC allocations that have been partly deployed to spur community development projects in excess of $800 million using our 3-Way Strategy. NCIF partners with the NCIF Network (that includes a national network of CDFI and Minority Banks, Minority CDEs, other CDFIs), and major Investors to catalyze economic and community development. Collectively, this 3-Way Strategy contributes to job creation, access to financial products and services, and enables environments that foster greater opportunity for underserved populations and communities across the United States. As part of its overall strategy, NCIF is embarking on an ambitious oneCity Strategy to focus a part of our allocation in select cities with the goal of reducing the persistence of a Tale of Two Cities.1 Initially NCIF will focus on Chicago and deploy a portion of its NMTC allocation to spur community development projects in the city. 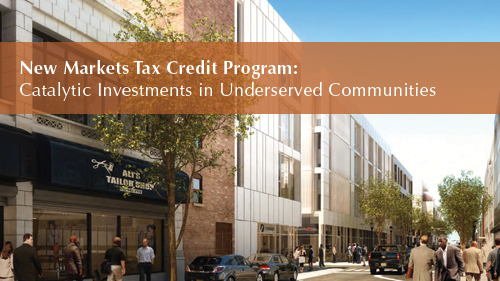 To complement this strategy, we also expect to form a small business loan fund (for transactions that need NMTC allocations less than $2 million) to support businesses in targeted communities.